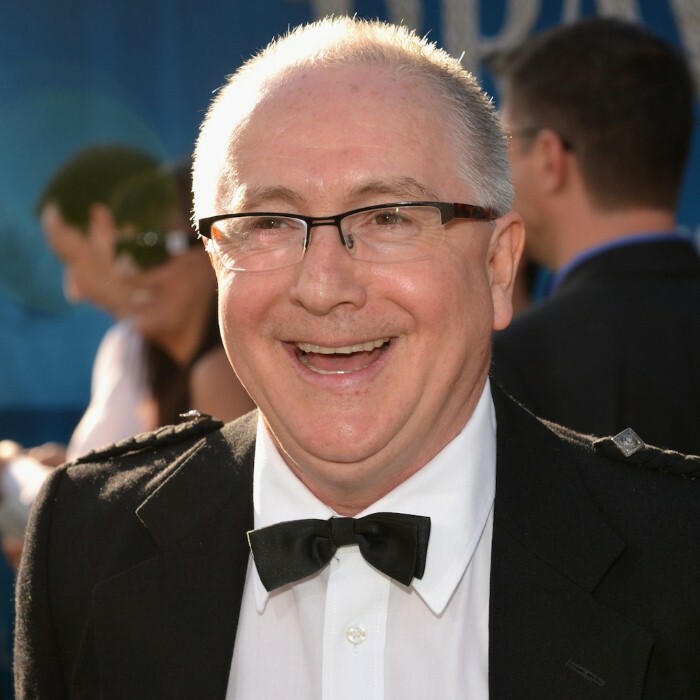 Patrick Doyle (born 6 April 1953, South Lanarkshire, Scotland, UK) is a classically trained composer. A longtime collaborator of actor/director Kenneth Branagh, Doyle is known for his work scoring such critically acclaimed films as Henry V (1989), Sense and Sensibility (1995), Hamlet (1996), and Gosford Park (2001), as well as such noteworthy blockbusters as Harry Potter and the Goblet of Fire (2005), Eragon (2006), Thor (2011), and Rise of the Planet of the Apes (2011). Doyle has been nominated for two Academy Awards and two Golden Globe Awards. Doyle was born on 6 April 1953 in Scotland and graduated from the Royal Scottish Academy of Music & Drama in 1975. He was made a Fellow of the Royal Scottish Academy of Music & Drama in 2001. He joined the Renaissance Theatre Company in 1987 as composer and musical director creating scores for highly successful productions of such plays as Hamlet, As You Like It, and Look Back in Anger. Doyle's film score debut occurred in 1989 when actor/director Kenneth Branagh commissioned Doyle to compose a score for the Renaissance Film's production of Henry V. The song "Non Nobis, Domine" from the film was subsequently awarded the 1989 Ivor Novello Award for Best Film Theme. He has since scored nine Kenneth Branagh films including Dead Again (1991), Much Ado About Nothing (1993), Mary Shelley's Frankenstein (1994), Hamlet (1996), Love's Labour's Lost (2000), As You Like It (2006), Sleuth (2007), and Thor (2011). In October 1997, shortly after scoring Great Expectations, directed by Alfonso Cuarón, Doyle was diagnosed with leukemia. He managed to complete his score for the animated fantasy Quest for Camelot (1998) in hospital whilst undergoing treatment. Doyle made a full recovery. In 1998 Patrick Doyle's Music from the Movies concert, sponsored by Leukaemia Research UK was staged at the Royal Albert Hall. It was directed by Kenneth Branagh and starred a host of international stars including Emma Thompson, Sir Derek Jacobi, Dame Judi Dench, Alan Rickman, Imelda Staunton, Richard E. Grant, Adrian Lester, and Robbie Coltrane. He has composed a series of classical works outside of films that include "The Thistle and the Rose", commissioned in 1990 by Prince Charles in honor of the 90th Birthday of Queen Elizabeth I; the violin romance "Corarsik", written for Emma Thompson's birthday; the album "Impressions of America: A Suite for Orchestra"; and the symphonic tone poem "Tam O Shanter", commissioned by the Scottish Schools Orchestra Trust. Doyle has recently completed the scores for Marvel Studios Thor (2011) and the 20th Century Fox film Rise Of The Planet Of The Apes (2011). He is currently working on the upcoming Pixar film Brave (2012), directed by Mark Andrews, after which he will be working on the Sovereign Films film Effie directed by Richard Laxton.